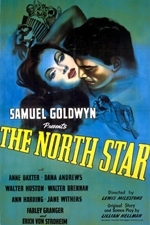 The North Star (also known as Armored Attack in the US) is a 1943 war film produced by Samuel Goldwyn Productions and distributed by RKO Radio Pictures. It was directed by Lewis Milestone, written by Lillian Hellman and featured production design by William Cameron Menzies. 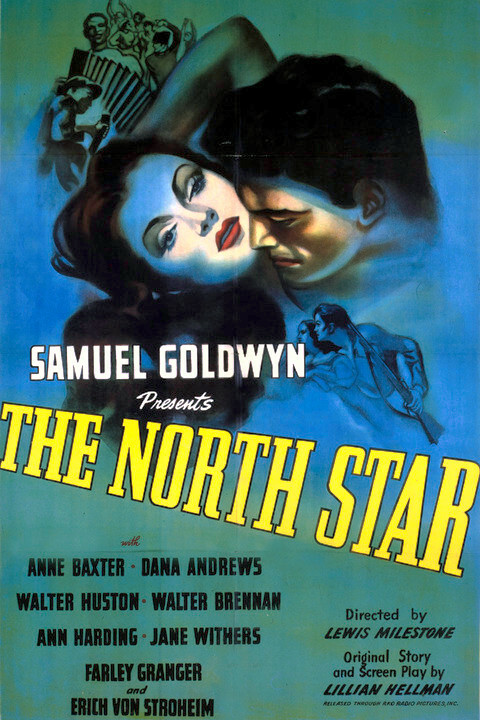 The film starred Anne Baxter, Dana Andrews, Walter Huston, Walter Brennan and Erich von Stroheim. The music was written by Aaron Copland, the lyrics by Ira Gershwin, and the cinematography was by James Wong Howe. The film also marked the debut of Farley Granger. The film is about the resistance of Ukrainian villagers, through guerrilla tactics, against the German invaders of the Ukrainian SSR. The film was an unabashedly pro-Soviet propaganda film at the height of the war. In the 1950s it was criticised for this reason and it was recut to remove the idealized portrayal of Soviet collective farms at the beginning and to include references to the Hungarian Uprising of 1956.